We’ve just seen the worldwide reveal of the new Audi A1, the brand’s newest supermini and a car that has the chance to be the very best car in its class. It’s not really an enthusiast’s car, though, thanks to its range-topping model only coming with a 197 hp 2.0 liter turbo-four. However, it seems as if enthusiasts, ones that also need an efficient commuter car, may be in for some luck. According to Autocar, an Audi S1 could be coming next year and it will be quite a bit sportier than the standard car. 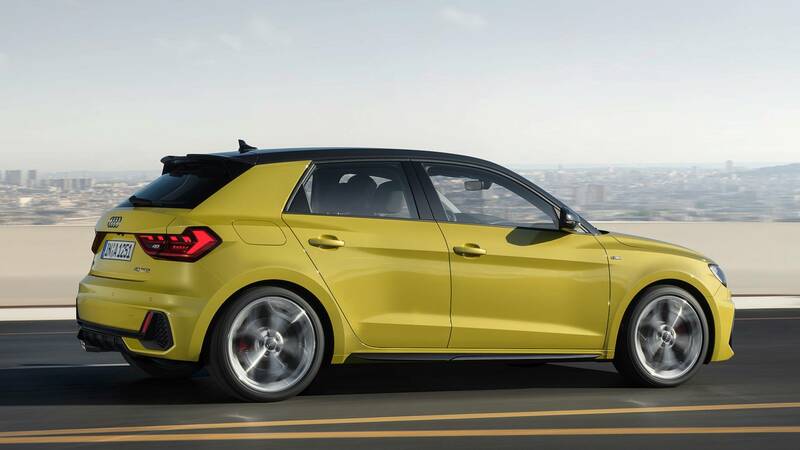 For starters, this Audi S1 will use a 2.0 liter turbocharged four-cylinder engine that will make around 250 hp. That might not sound like much but when you consider the Audi A4 makes 252 hp and can sprint to 6-0 mph in the low five-second range, the Audi S1 could be a proper little rocket. Another bonus over the standard A1 is the fact that the Audi S1 will be all-wheel drive. All A1 models will be front-wheel drive but the S1 will have a Haldex-based AWD system, similar to that of the Audi S3. Audi has yet to release anything official about the S1, especially a release date, but Autocar claims that it’s likely. It will also look sportier than the already sporty-looking A1. So expect a few more air intakes, scoops and wedges. It might also get quad exhausts and how cool would it look to see such a small little car sporting quad pipes? Plus, a 250 hp all-wheel drive car of that size? The Audi S1 could be an absolute riot. If Audi does indeed make an S1, it would probably be the small fun Audi to get, over the Audi S3. Being cheaper and potentially more exciting, the Audi S1 has a chance to be the halo car for Audi’s small car segment. And that’s sort of the idea.